IoT impacts every business. 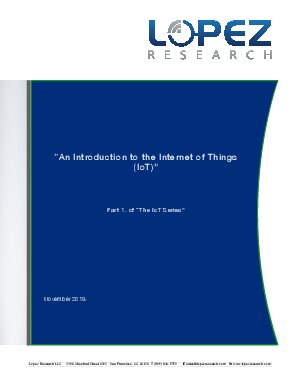 Mobile and the Internet of Things will change the types of devices that connect into a company’s systems. These newly connected devices will produce new types of data. The Internet of Things will help a business gain efficiencies, harness intelligence from a wide range of equipment, improve operations and increase customer satisfaction. IoT will also have a profound impact on people’s lives. It will improve public safety, transportation and healthcare with better information and faster communications of this information. While there are many ways that the Internet of Things could impact society and business, there are at least three major benefits of IOT that will impact every business, which include: communication, control and cost savings.